Vivac Winery has some delectable New Mexico wines and more! Casa Escondida Bed & Breakfast is located historic Chimayo, NM (28 miles north of Santa Fe). We provide lodging accommodations for travelers from Santa Fe to Taos. Just 30 minutes north of Casa Escondida B&B, you will find Vivac Winery (pronounced vee vok). Enjoy tastings of all sorts in their wonderful tasting room or linger on the outdoor patio, while taking-in the stunning mountain and vineyard views. Vivac Winery was even rated as being one of the most beautiful wineries in the US. Wine and chocolate! What’s not to Love about that? $14 will get you a flight of 3 wines that are paired with 3 decadent handmade chocolates (made in-house). Wanting something a bit more traditional? How about a flight of 3 wines, which are paired with their hand-crafted cheeses, multi-grain crackers, a slice of prosciutto and some plump dried apricots, all for $14. Yum! A la carte wine tastings are also available for only $6 (for 6 wines). Vivac Winery uses 100% New Mexico grapes. All of their wines are made entirely by hand (hand harvested; hand sorted; hand pressed; hand bottled and hand corked). Vivac Winery is located in the picturesque village of Dixon, New Mexico. 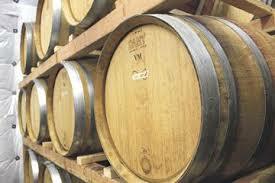 You can sample their wines Monday – Saturday from 10 AM – 6 PM and on Sundays from Noon – 6 PM. On the 1st Saturday of each month (during the spring, summer & fall), enjoy happy hour from 4 PM – 8 PM. Enjoy the wine, tap your toes to some great live music and shake hands with the owners. If you are headed towards Santa Fe, you can also find the Vivac folks at their Santa Fe Farmers Market location (at the Railyard) on Saturdays and Sundays only. During your visit be sure to ask them about becoming a Wine Club Member. Once you sample their wines, you will want to keep them coming, even after your New Mexico vacation is over. 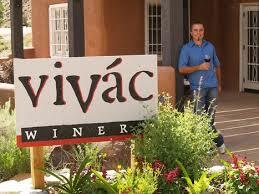 So when you wonder what there is to do during your New Mexico travels, put a wine tasting at Vivac Winery your list. 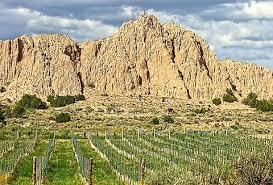 It is a wonderful way to experience some of the best New Mexico wines. Casa Escondida Bed & Breakfast is a delightful New Mexico retreat, which has rooms available year-round. We are perfect for a romantic New Mexico getaway too. Contact Casa Escondida B&B to check room availability or to inquire about a reservation. Casa Escondida Bed & Breakfast is a green bed & breakfast, which provides pet-friendly lodging in 4 of our 8 guest rooms. Enjoy your New Mexico travels AND the Vivac Winery! We look forward to having you as our guest.